What are your billing fees? What is the cost of billing internally? Do you capture all of your internal cost when calculating your expenses like additional phone lines, additional space, pension contributions for billing employees, etc. Are you paying a discounted fee for a discounted service? How much does a full-service premium revenue cycle management solution cost? There is plenty to consider when evaluating the best billing & coding solution for your business. Aside from providing quality medical care, it is easily the most important factor that will determine the success or failure of your business. At revMD.com, our objective is to be completely transparent in order for you to understand what you are paying for AND, more importantly, what services are you receiving for the price you pay. We bring visibility to billing fees in order for you to comparison shop for both price AND quality. What services do you receive for those fees? How much is left in your account net AFTER you pay your billing fee? We make no apologies; our intent is to provide a premium RCM (medical billing & coding service) service. This means you compliantly maximize coding, billing and collections through a proprietary time-tested 30 year process. Your practice is assigned a “Go-To” account manager which is the equivalent of having a billing manager down the hall. The account manager assigned to you is a seasoned professional with experience in your specialty. This RCM professional is an extension of your back office operations. For those potential clients that are not sure the level of service needed or desired, we do NOT want to miss out on a future relationship because of what we “think” you need. Below is our a la carte menu of services depending on the level of service you desire. We have used a large public billing companies and smaller Mom & Pops. We have found the perfect combination of size, expertise and experience with revMD.com. Their 30 years of Radiology billing experience benefits our group with regard to obtaining billing information from our partner hospitals and resolving technology issues quickly and professionally. Despite having over 200 clients and 60 employees, we receive first class customer service and results. Our coding and billing had always been handled in-house. We liked the control and instant access to our billing & coding information. However, as our practice grew, so did our space requirements and the need for additional personnel. We outsourced to revMD.com who addressed our concerns regarding access to our information and maintaining control. Their extensive resources and expertise has provided us the catalyst to grow, not worry about the management of an internal billing department and link our billing cost with our revenue. They provide great customer service and our staff and their staff work extremely well together as one collaborative team to optimize collections. Our physician partners feel extremely confident with our revenue in the hands of a 30 year old firm. Our practice initially hired revMD.com for a one year temporary engagement while we implemented our EMR & PM. Despite a significant investment in our technology, we stayed with them over four years due to their outstanding RCM performance and customer service. When we brought the billing in house, we gained an even deeper appreciation for their expertise. Our group had moved from billing vendor to billing vendor over the years. Each one promised results and expertise, which never materialized. When a colleague suggested his coding billing & collection company, we quickly realized why revMD.com has been in business since 1987. Their coding expertise and attention to the collection of each CPT has made a significant impact on our bottom line. Our billing was being done internally; however, we had suspicions that it could be improved. A revenue cycle audit performed by revMD.com revealed a number of errors in our billing resulting in a high bad debt expense. We outsourced to revMD.com and our cash flow improved within 60 days. They helped us hire and train new staff and their optimum performance has been consistent ever since. Their service to me and our staff is delivered like they are “down the hall. Coding and billing for our facility can easily be described as complex, requiring constant review and attention to the processing of claims. We were unhappy with the performance of our previous medical billing company as they lacked the focus our claims require. Since July of 2012 revMD.com has managed our medical practice billing, they’ve already proven that they will give our claims the attention they require and work to maximize reimbursement. How much revenue is collected truly does depend on the right physician medical billing company. Our group switched from an East Coast “national” firm to revMD.com in 1997. 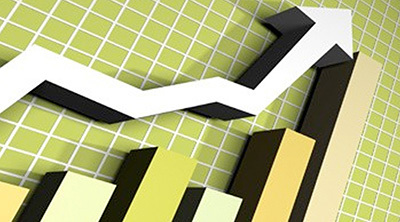 Our customer service and collection ratios increased dramatically in a few short months. They are the only coding billing and collection company I have ever used. It’s more than just advertising, revMD.com delivers on their promise… every time. 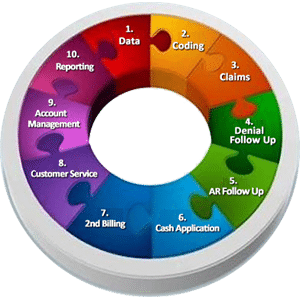 They’ve proven to our group that not only do they provide a rapid turnaround in medical practice billing, they decrease the age of outstanding receivables and vastly improve revenue. Their experience in Emergency Medicine billing, coding and collections optimizes our revenue stream and provides extreme value for their service. Our net receivables far outweigh our costs because it’s not what you pay percentage wise; it’s the net receivables that make the difference in our healthcare revenue cycle management. When our ED Service Agreement expired, we went to the marketplace looking for customer service and performance delivered consistently at a lower price. revMD.com delivered. I have not been disappointed. It takes a lot for me to admit to being impressed, but with revMD.com I really am. They have gone above and beyond to ensure my practice not only is successful but also profitable. If any one company can be called the industry insider when it comes to knowing all my Family Medicine coding nuances, it’s this one. They’re always aware of the current trends and changes in healthcare revenue cycle management with various payers to keep reimbursement flowing. I have now achieved the balance I seek and can now focus completely on my patients without worrying. With a R.N. and certified coders on staff, I know my procedures are being billed properly. Since I left my large group practice, revMD.com is the only billing firm I have ever used. revMD.com’s expertise, attention to detail and service is first class. Our physician income relied on our billing company gathering and processing 95,000 ER visits annually at three different facilities using three different dictation companies. Mr. Asterino’s firm is well organized and thorough. Their professionalism in navigating this process was impressive. My billing was being done internally. It made no sense to have a fixed billing cost when revenue fluctuated from month to month. We always seemed to have some collection issues. I outsourced to revMD.com and within 60 days my collections improved by 40%. Now my billing cost is tied to my collections and I no longer worry about it. Our group has 27 physicians covering 6 hospitals and 12 free standing imaging centers, with more growth in sight. 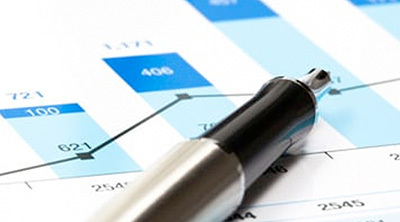 We rely on our billing company’s reporting capabilities to account for our activities and manage our expansion. Additionally, revMD.com’s technical ability and programming expertise allows us to explore opportunities across a variety of platforms and healthcare systems. With revMD.com, we receive the performance and expertise of a large national player while benefiting from a level of customer service usually only found with a local company. What Makes Up A Complete Healthcare RCM Management Solution?